Hospitals come under fire, more often than not for their inefficient management of and overspending on inventory. 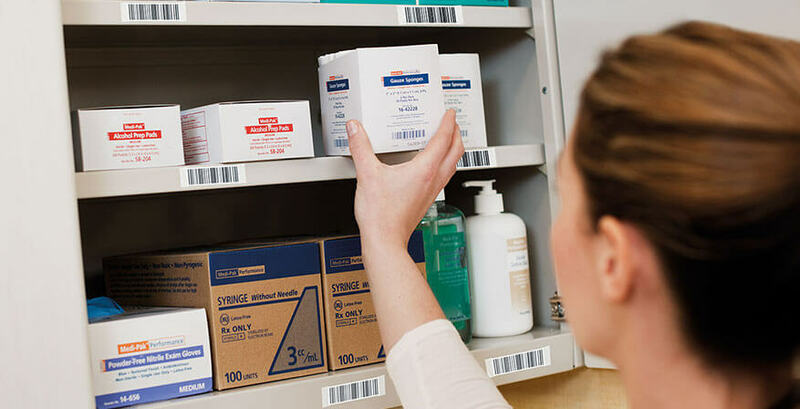 As hospitals around the world are now cracking down on streamlining their medical supplies – suppliers, staff and material managers are now looking to address all the issues pertaining to inventory management. However, the process is still done in a time-consuming manner, that involves manual processes that are both inefficient, as well as prone to human error. Automation of hospital supply chains hence, can offer much greater visibility as well accurate forecasting, that means cost reduction and streamlining of all the inventory management tasks. This, in turn, implies that the need for clinical workers to be engaged in non-patient related work can be greatly reduced, which would also aid administrators in making better decisions. Too Much Information: There is an abundance of information when it comes to hospitals. Be it medical supplies or insurance contracts all the information is important for a hospital. Thus, with such vast quantities of unorganised data, it is really easy to mix up or forget information while manual processing (which therefore ends up in lack of visibility). Too Little Time: Be it updating of records or accessing the right information, primitive manual methods of inventory management are extremely time-consuming. This means that the staff has to allocate their precious time, towards consolidating the asset database and managing the inventory (leaving room for manual errors). Real-Time Updates: An automated inventory system can help the staff in accessing and updating information in real-time which will help in updating stock inventory and providing accurate asset records. Optimization of Inventory Levels: With an automated system and RFID, there will be no more worries about if there are adequate medical supplies for a particular department as well as avoid overstocking. This will help in decreasing the possibility of expired items or the shortage of necessary items, thus making inventory ready for use whenever needed. Simplification of Tracking Processes: Optimizing medical supply chains can help in making proactive informed decisions. This is especially applicable when it comes to an emergency situation, wherein hospitals find that they either have too little at hand or too much. With an increased visibility, hospitals can have a clear view of inventory on hand and also the forecasted demand that will help procurement in effective planning. It is a well-known fact that overstocks can increase the cost burden and under-stocks are an impediment to patient care, which may lead to case cancellations/delays or even critical safety issues for patients. Hence, the automation of its supply chain can bring out the full potential of a hospital’s services, by enhancing visibility and helping in the allocation of the right resources at the right time, which is so essential for optimal patient care.